Replacing the cheap beige builder grade carpeting in our home has been an ongoing process. A seven year ongoing process to be exact. We finally have the main living areas of the downstairs squared away, but that leaves just the entire rest of the house. The problem is that I can't quite decide on what to put down in the kitchen, which is our next flooring project. I've partnered with Flooring America to try out their new app that's perfect if, like me, you can't quite decide what flooring to put down. The app called, My Floor Style, is available in the App Store or Google Play Store for a tablet. Download the app and get started! 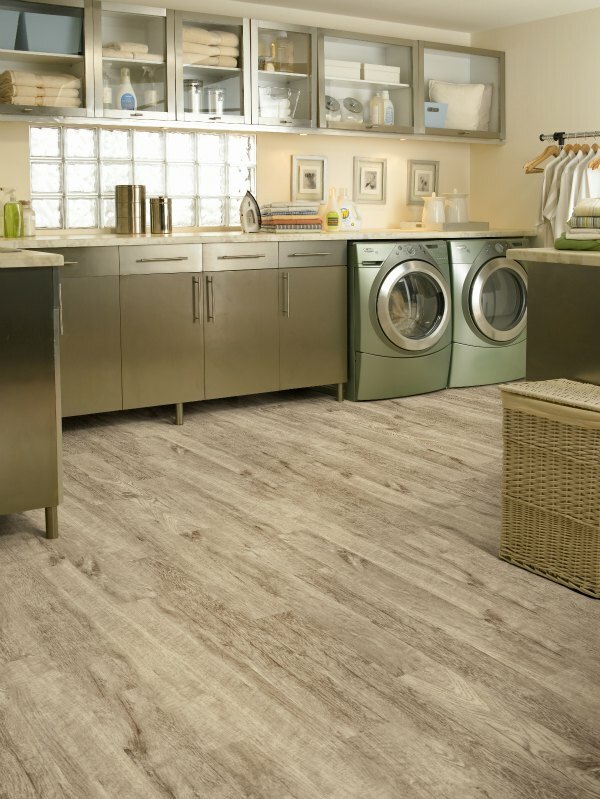 I'm very interested in checking out Flooring America's Downs H20, water-proof luxury vinyl plank flooring option. It looks like hardwood floors but is safe for kitchens. I'd need to make sure the color I like looks fine with the existing cabinets, though. That's where the app is handy. I can try different colors and see how they look with the cabinetry. The app is pretty easy to use. It took me a bit to get the hang of it and it wasn't a perfect photo, but I was able to test out different colors of flooring to see what looked best. Use My Floor Style to take a photo of your room or select an existing photo on your tablet device.Step 2: Outline and remove your floor. When you're finished, view before and after photos to compare, save your project to reference later, or even share your photo via email, text or social media to see what friends and family think. So easy! I really loved a white floor in the kitchen even though I'm a little nervous about dirt showing a lot on it. 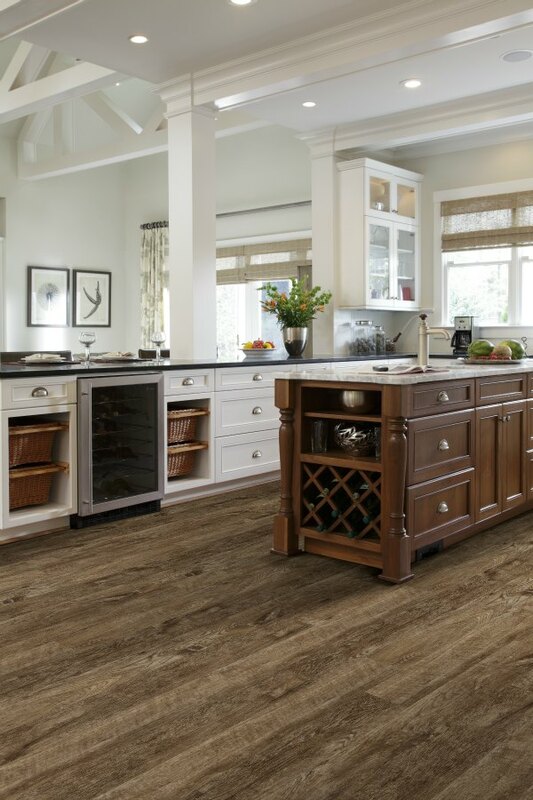 Hopefully this summer we'll finally get in a new kitchen floor thanks to help of Flooring America's new app. Thank you sharing this great post. With the help of this I can decide which floor is perfect for my office.